Sometimes the wild elephants come out from the forests of Thailand’s National Parks, walk along the roads and go to the plantations to find food, especially in the dry season. This has caused human-elephant conflicts, which in some cases can lead to a decrease in wild elephant populations. Many National Parks and Wildlife Sanctuaries have therefore started different projects to prevent conflicts between the wild elephants and local farmers. 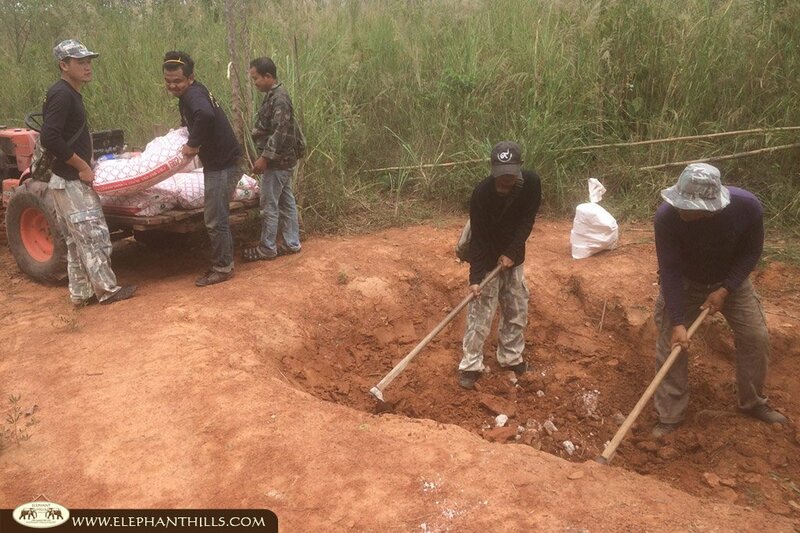 Within Elephant Hills Elephant Conservation Project we are actively looking for Elephant Hospitals, Wildlife sanctuaries and foundations who need help with their efforts to protect and support the well being of Thai Elephants. We found a sanctuary called “Phu Luang” in Loei province, which is surrounded by 12 villages, 79,051 acres of farmland and 209,860 acres of sanctuary. 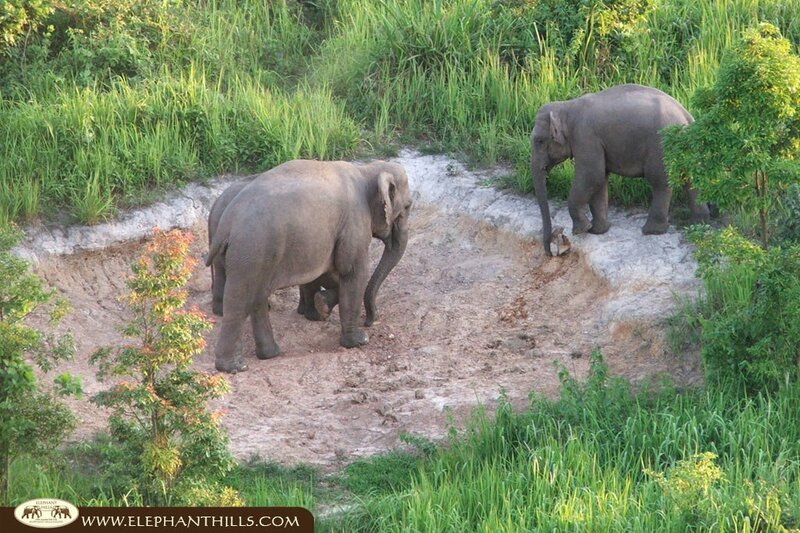 Wild elephant population in this area has increased from 50 in 1999, to more than 100 currently. 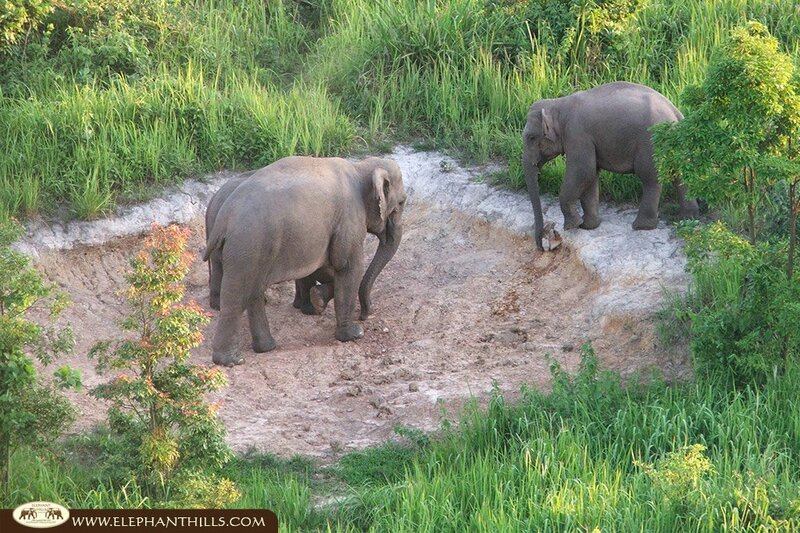 The area of this wildlife sanctuary has capacity for about 130 elephants. Although it’s fantastic news that the population is indeed growing, this has resulted in more elephants making their way out from the wildlife sanctuary. The officers at the wildlife sanctuary help wild elephants by making salt licks and digging pools to provide more water sources in the forest. In 2016, 25 salt licks were prepared but more are needed to help to prevent the wild elephant-farmer conflict. 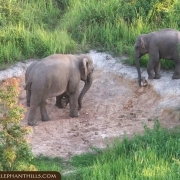 The reason for preparing salt licks for wild elephants is to make sure they get enough nutrition and stay healthy. This way they don’t have to wander out from the forest to the plantations. We could see that the sanctuary staff has been working really hard to help wild elephants and the number of the wild elephants has increased a lot. 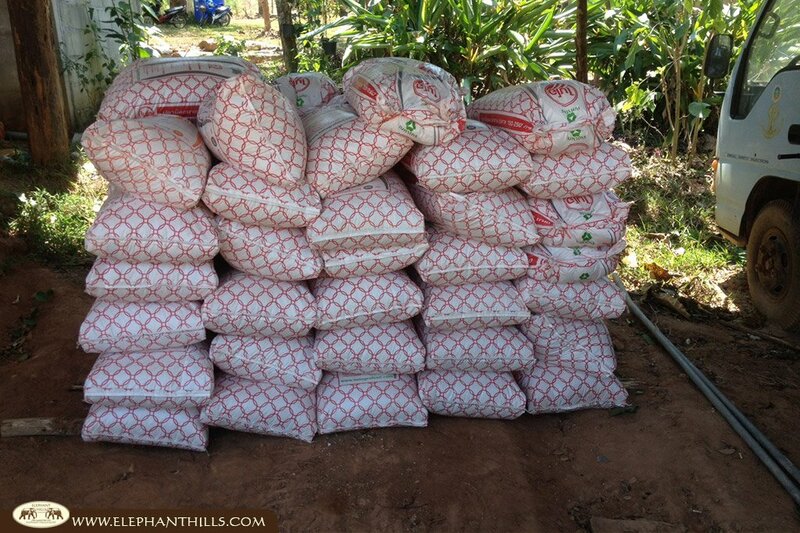 Therefore we decided to help them by donating one ton of minerals and 3 tons of salt rock to make 5-6 salt licks.